‘Wanderlust’ contains 10 originals and follows the theme of a desire to travel. Tracks include ‘Travelling Bluebird’ an ode to Hamish’s first car, ‘It’s Time To Go’ which draws on new sounds and roots influences. Lost in Amsterdam (as well as a rock remix) alludes to a Davidson Brothers adventure in which Lachlan woke up on a bridge in Amsterdam. The aptly named Bottle Cappin’ Back Crackin’ Blues, which is one of three instrumentals. In addition to being a Doctor of Chiropractic and a new father, Hamish has kept himself busy this year driving up and back from Bendigo countless weekends for gigs all over Melbourne. With recording sessions for the album through the week, he’s also recently been playing banjo with Dan Sultan. Wanderlust was produced by Hamish and Lachlan and engineered by Adam Rhodes (Cat Empire, Paul Kelly, Angus Stone, The Waifs) and recorded at Sing Sing South Studios with their live band Jacob McGuffie on acoustic guitar and Louis Gill. Mixed in Nashville by Larry Marrs & Mark Thornton and mastered in Sydney by Ted Howard. Songs like ‘Every Time I Leave’ and ‘Take Me to the Mountains’ feature traditional bluegrass elements, sterling musicianship and trademark Davidson Brothers harmonies throughout, reinforcing the brothers’ superb reputation as Australia’s finest representatives of bluegrass music. Sunday 20th July, 2014 with The Shivering Timbers, The Gasometer Hotel 4:30–6:30PM, 484 Smith Street, Collingwood VIC. $10 Cover Charge. 03 9417 2725. Saturday 26th July, 2014 with The Little Stevies, Meeniyan Town Hall 8:00pm South Gippsland Highway, Meeniyan VIC. Tickets via email lyrebirdarts@hotmail.com or 03 5664 9239. In September the three-time Golden Guitar winners and Australia’s most celebrated purveyors of bluegrass head off to the US where they’ve been invited to showcase at the World of Bluegrass in Raleigh, North Carolina. 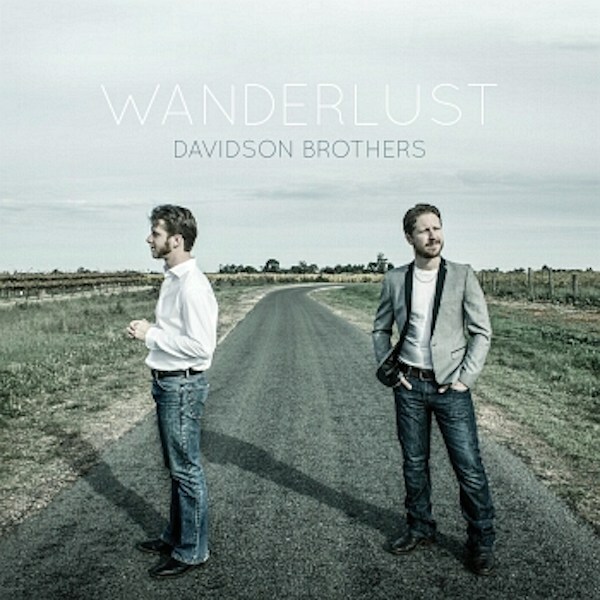 The new album ‘Wanderlust’ by the Davidson Brothers is supported by the Victorian Government through Arts Victoria. Wanderlust is available for purchase on CD and Digital Download exclusively at davidsonbrothersband.com. Follow them on facebook here: www.facebook.com.